I am stealing this idea from the lovely Rebecca at Simple as That, and participating in her May 2011 photo collage party. 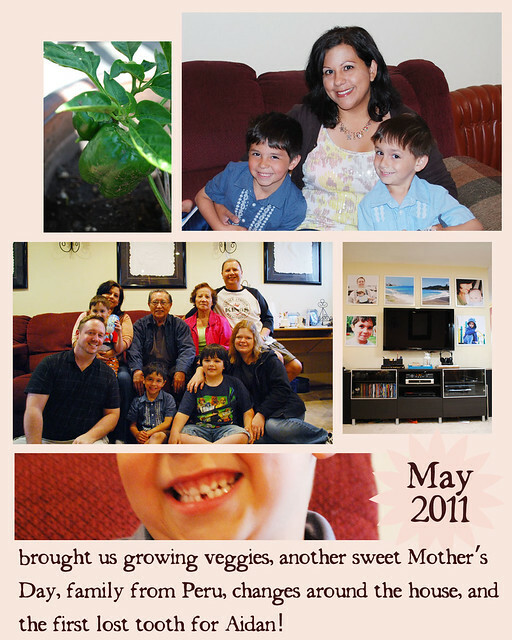 I love the idea of highlighting some pics from the month – thanks for the idea, Rebecca! Love those big photos on your wall. I so have to do this at home too.